The Florida town roiled by the controversial Trayvon Martin shooting soon may get unwelcome visitors — a group of neo-Nazis. 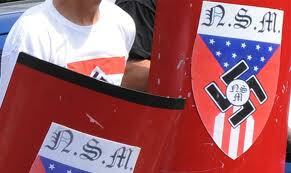 Members of the Detroit-based National Socialist movement have pledged to descend on Sanford to protect “the white citizens in the area” if there are race riots in the aftermath of the killing that has gripped the nation. Schoep claimed that up to 20 well-armed members are already in position in Sanford. Sanford police officials said Saturday they have not spotted any neo-Nazis but have coordinated with the feds to be ready in case violence erupts. Martin, a 17-year-old black high school student, was wearing a hoodie and unarmed when he was shot Feb. 26 by neighborhood watch volunteer George Zimmerman. Zimmerman claimed he fired in self-defense after Martin attacked him. He has not been arrested or charged and has kept out of the public eye since the incident. 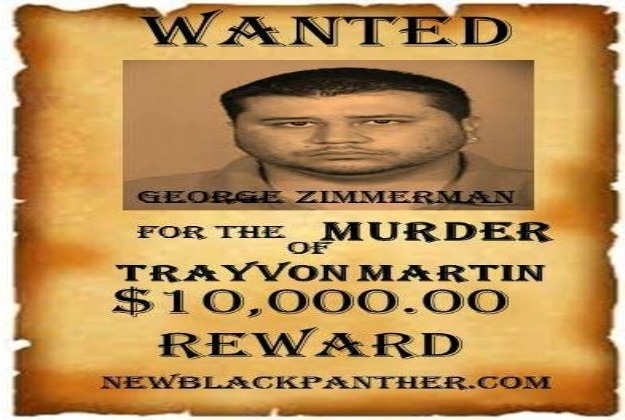 S choep justified his group’s plan by noting that the New Black Panther Party offered a $10,000 bounty on Zimmerman. Meanwhile, NBC News fired a producer for editing a recording of Zimmerman’s 911 call the night he shot Martin. The producer, who was not identified, trimmed the tape in a manner that suggested Zimmerman volunteered that Martin was black.